Inspired by conversations on the Food52 Hotline, we’re sharing tips and tricks that make navigating all of our kitchens easier and more fun. Today: Avocados are too good — and too expensive — to let fall to the wayside. Here are three of the best methods to keep avocados green, longer. Much like tomatoes, when we slice an avocado open to eat, we usually aren’t gunning to devour the whole fruit in a single meal. There’s a critical point at which crisp toast can’t take another dollop of mushed avocado, salad greens can’t support another creamy slice, and we have to tackle the conundrum of keeping an unused avocado half as green as possible until our next meal. The most common piece of advice is to leave the pit in the avocado half, or rather, use the pitted half first. However, while the parts of flesh that are in contact with the pit stay fresh, the rest of the avocado easily browns. This is simply because the pit is blocking air from reaching part of the flesh. So, to keep the exposed avocado from browning, we have to mimic what the pit does and create alternative barriers. Though avocado halves will always brown to some degree, the following methods kept the fruit green, longer. Roughly chop a quarter of a red onion into large chunks. 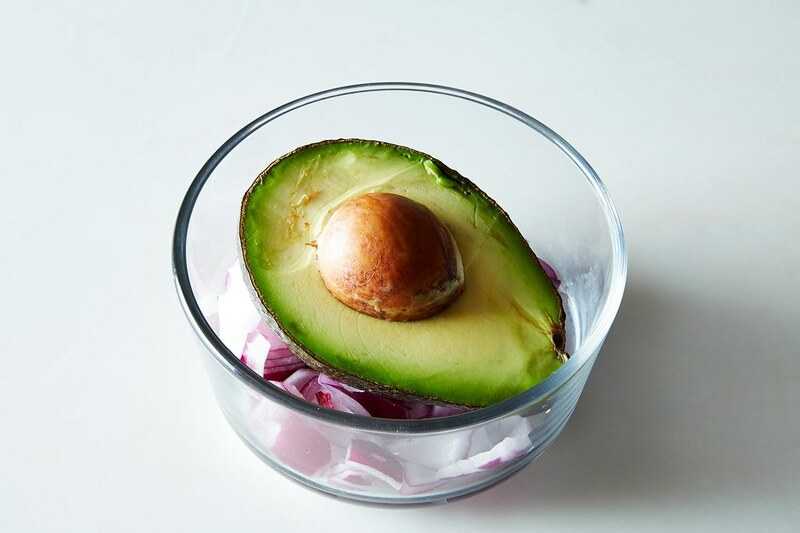 Line the bottom of a sealable container with the onion pieces, then place the avocado half cut side-up on top. Seal the container and keep in the fridge. According to The Kitchn, this is likely due to the vapors that onions emit. Luckily, because the skin is the only part of the avocado in contact with the onion, the flesh won’t take on any flavor. And you can save the onions for later use! More: Sharpen your skills and chop an onion perfectly — and quickly — every time. 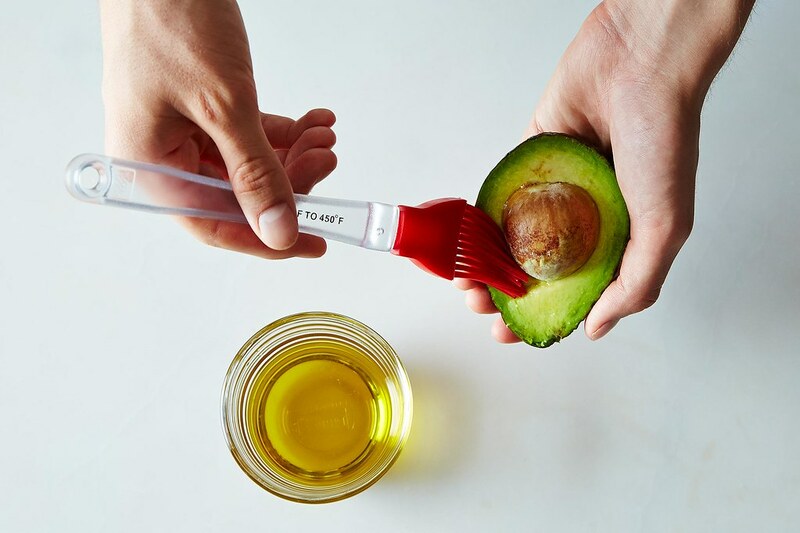 Brush the avocado half with olive oil (pick one without a strong flavor). The oil will keep the flesh from coming in direct contact with the air, preventing oxidization. 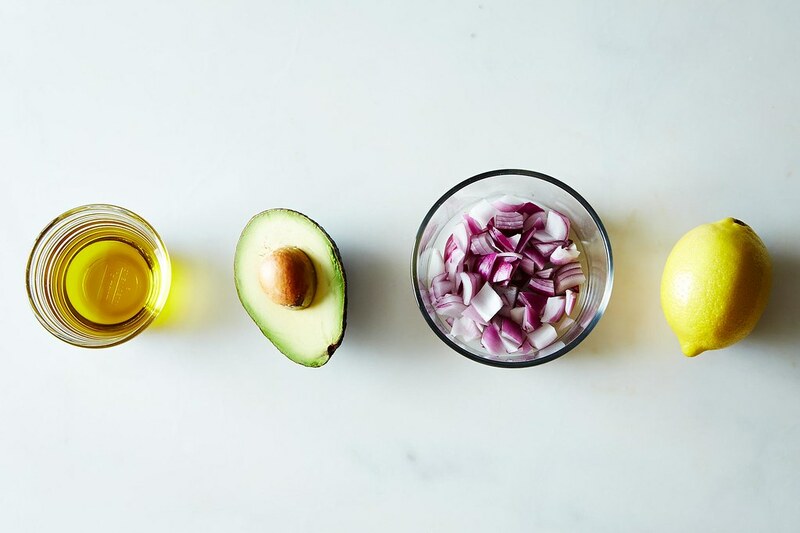 After brushing with the oil, store the avocado in an airtight container in the fridge. More: Learn how to choose the right olive oil for the job. 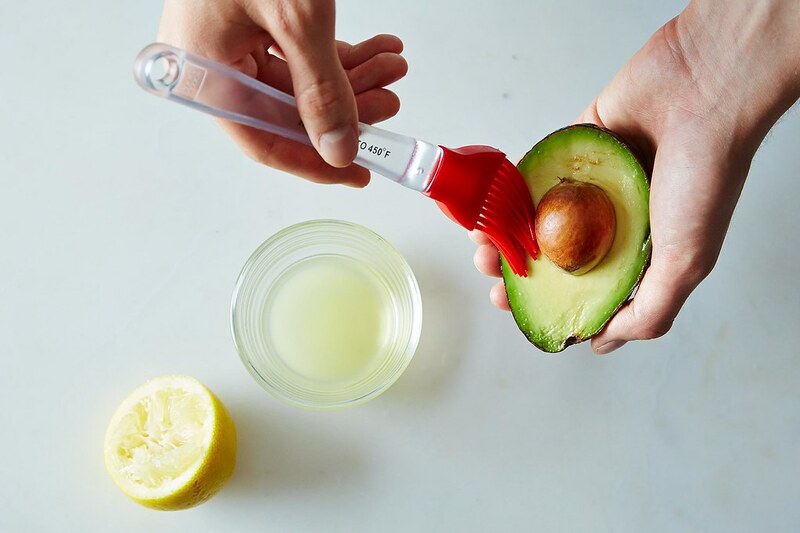 You can also brush your avocado’s flesh with lemon juice — the citric acid in the lemon juice dramatically slows the browning process. Again, store in an airtight container for extra protection. How do you keep avocados from turning brown? Tell us in the comments!